As the NBA season approaches slowly but surely, AOL Sports has come consistently with our team previews and power rankings, released every weekday morning from now until opening night. Yesterday we pegged the Detroit Pistons at No. 21 in our rankings. Next up, we have the Sacramento Kings, who may have had the most eventful offseason of all. Starting with dramatic feuding between their expensive head coach and young superstar, the Kings' summer seemed destined for implosion. 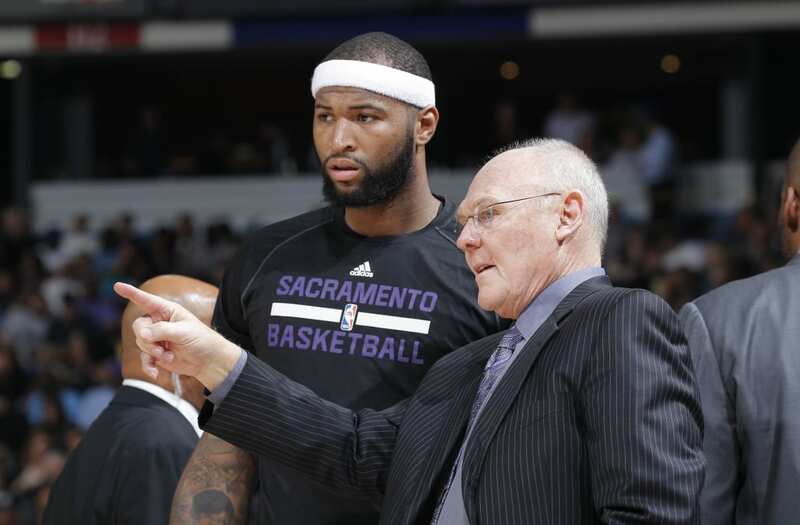 When rumors emerged shortly before draft day that George Karl was pushing to the team to trade DeMarcus Cousins, the star center appeared headed to the LA Lakers -- who would include their No. 2 overall pick in a trade. Of course, that deal never happened, the Lakers picked D'Angelo Russell second overall and Cousins is still a King -- whether Karl is on board with the idea or not. Regardless, Cousins is a top center in the league, and the Kings are better for it. The team followed up during free agency by taking the plunge that nobody else wanted to -- they inked Rajon Rondo to a one-year deal, as the point guard tried to revive his career after flaming out as a Dallas Maverick. If Rondo can play like a point guard that somewhat resembles his 2011 peak Celtics form, Rondo will make this Kings team a playoff contender. Paired with perhaps the best scorer from the center position, Sacramento may have one of the most intriguing duos among non-elite teams. Rudy Gay, who has revived his own career since joining Sacramento by playing a bit more efficiently, will be interesting to watch. Rondo, a guard who generally excels with the ball in his hands, could have trouble cooperating with Gay -- a similar type. This was the dynamic between Rondo and Monta Ellis in Dallas, and it was part of the reason for Rondo's premature demise as a Mav. They added Willie Cauley-Stein via the draft, who is almost indisputably the best defender in this year's rookie class, and can defend multiple positions at seven feet tall. Look out for lineups with Cousins and Cauley-Stein on the floor simultaneously, which would alleviate the defensive issues Cousins poses near the rim -- but could only work offensively if the rookie demonstrates any range along the perimeter. The Kings also signed Marco Belinelli to add some scoring from the three-point line and to space the offense for Cousins and Rondo to work. Darren Collison should perform well on the reserve team as the backup point man, and Ben McLemore showed strides last season in the backcourt as the year went on. Kosta Koufos was also added to help out on the defensive end near the rim and provide some steady play on the other end.